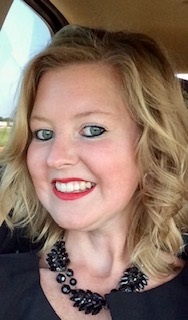 Meeghann Allison Culbertson, 30 of Moore, Oklahoma passed away Friday, April 5, 2019 peacefully in her home surrounded by family. She was born April 7, 1988 in Oklahoma City, OK to Lewis Rey and Marilyn Kay (Hamm) Culbertson. In 2007 Meeghann graduated from Moore High School. She attended First Christian Church of Norman and was an active Deacon and Youth Sponsor; Meeghann was devoted to her church and loved serving the community. Throughout the years she attended several mission trips including an international trip to Hondoras in which Meeghann helped rebuild homes and reunite families in need. Meeghann radiated the love of God through her enthusiasm and love for others; she loved life and cherished every moment she possibly could. Meeghann was a compassionate and loving daughter, sister, aunt, and friend to all those in her life. She loved her family more than anything in the world and especially enjoyed spoiling her niece and nephew. Meeghann's spirit was bright and she always made everyone feel welcomed. Meeghann fought her illness with strength; although her life was cut short, her love, her beauty, her faith, and her positivity will never fade away. Meeghann will always be remembered never forgotten, always loved never reviled, always a light never a shadow. She was preceded in death by her grandparents Lewis Clinton and Loretta June (Last) Culbertson; Herman Dwayne and Frances Catherine Elizabeth (Healy) Hamm; Uncle Charles Thomas Jenkins and a cousin Bailey Andrew Culbertson. Meeghann is survived by her parents Lewis Rey and Marilyn Kay Culbertson; two brothers Clinton Lewis Culbertson and his wife Shanna and Connor Erin Dwayne Culbertson; nephew Colton Lewis Culbertson (7) and niece Makynlee Allison Culbertson (14 months); Uncle Steve Hamm and wife Vicki of Moore, OK; Aunt Karen Jenkins of Helena, AL; Uncle Jeff Culbertson and wife Rhonda of Easton, KS; Aunt Tammy Lemke and husband Jon of Easton, KS; Uncle Kirk Culbertson and wife Toni of Easton, KS; along with numerous cousins and friends. Visitation for Meeghann will be Thursday, April 11, 2019 from 4:00 PM to 8:00 PM at Moore Funeral and Cremation, 400 SE 19th Street, Moore, OK 73160. A Celebration of Life will be held Friday, April 12, 2019 at 11:00 AM at First Christian Church, 220 S Webster Avenue, Norman, OK 73069, with burial to follow at Sunset Memorial Park Cemetery in Norman.